I have been a Blue Wheeler since 2014 with my main territory being Frankston. My tip for dog owners would be to give their pooches regular brushing and to play with their paws so they are comfortable with the grooming process. 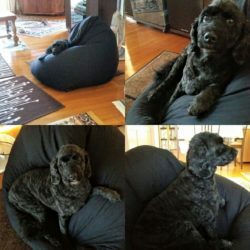 You should start doing this from when they are little puppies or as part of your bonding experience with your dog. 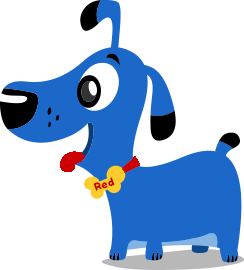 If you live in Frankston or surrounding suburbs, I look forward to meeting you and your furry loved ones! Please fill out the form to arrange an appointment. Every day I’m blessed with washing and grooming many beautiful dogs that really seem to appreciate having being pampered. 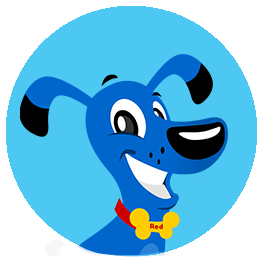 I so love seeing my furry friends become excited when they see me approach with my big Blue Dog. 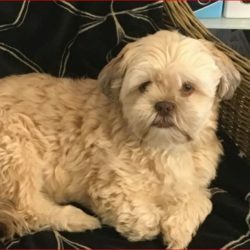 Dogs have always approached me with joy. When a dog chooses me out of a group of people, it shows me that the dog loves me, so how could I not love them back? Which is why I became a mobile dog groomer. I would have to say that I don’t have a favourite dog breed as I find all dogs have their own characteristics and I just love all my fur babies that I groom. I do own two Pomeranians though, one is a crossbreed at the age of 6 or 9 (not sure yet as she is a rescue and we have had her for over two months now). 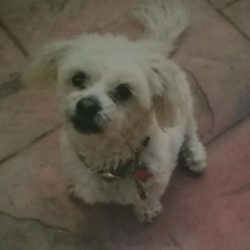 My other dog is Buddy who is nearing 17 years young. 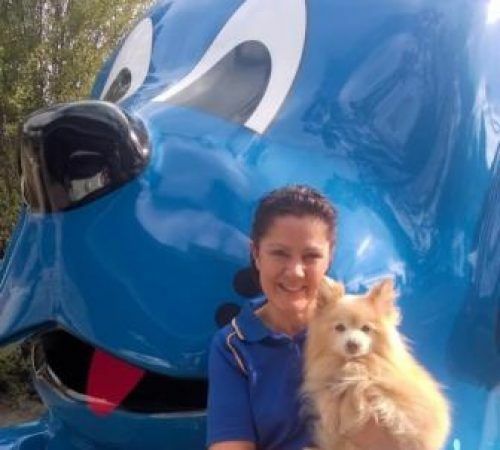 Buddy being my first Pomeranian was an easy choice for my big Blue Wheeler dog because this way he will always be in my heart and by my side. 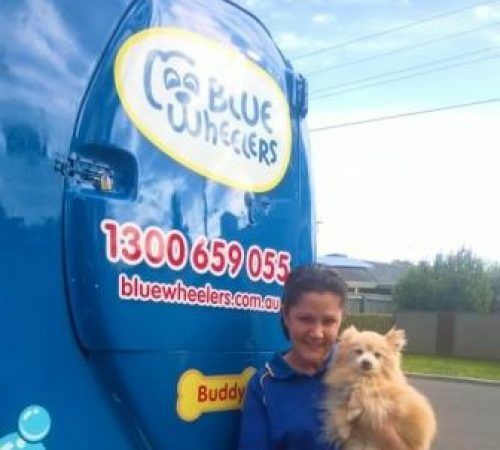 Before I started to wash and groom dogs with Blue Wheelers, I was a qualified hairdresser with 20+ years experience. This has enabled me to listen to customer needs and wants. Thanks , Sonia will be in touch with you soon! Sonia is amazing!! Her grooming style is always perfect, she makes my little Bella look like a show dog every time and she smells fabulous too. Sonia passion for her job and dogs is reflected in her loving and gentle manner, my Bella cannot wait for her next bath. She is always reliable, on time and willing to go above and beyond to fit me into her busy schedule. I cannot recommend Sonia highly enough!! A big thankyou to Sonia. She is so good with out 7 month old pup. Patient, professional, clean. If you wish to have someone groom your dog, I would highly recommend Sonia. My little boy absolutely adores her. Dear Sonia, You have been such a wonderful friend to Rover over the past few years & you have looked after him so beautifully. He really did love you. Thank you for being so kind, it meant a lot to me, we will miss him. Wishing you all the best in the future. Love from Carolynn, Maddie and Lewis. 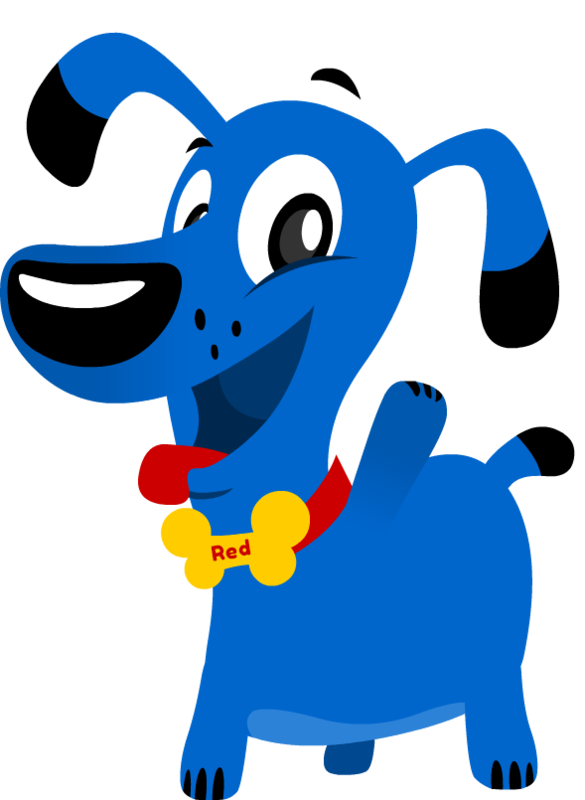 From the moment Pepa sees the Blue Wheeler Dog appear, she gets excited as she knows Sonia is here. Even the mention of Sonia's name, gets Pepa looking for her through the windows. This is the person you need and wish for as a pet groomer. 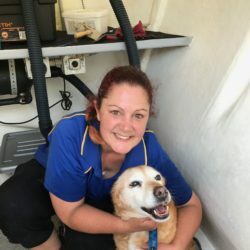 Sonia has built a trusting friendship with our precious pooch and with us, due to her kind, professional and caring manner. Sonia creates a calming environment by constantly talking to Pepa throughout her grooming experience - as Pepa can be temperamental ["precious"]. It is very clear from the moment you meet Sonia, talk with her and watch how she interacts with your pet, that she is a true animal lover and loves her job. I highly recommend her to anyone looking for a pet groomer. Thank you Sonia for taking care of Pepa! Thank you Sonia for looking after my dog Molly, she really loves her time with you. You are such a wonderful, beautiful, loving and professional person which shows though how much you care for the dogs you look after. We are so grateful to have you in our lives and I know if Molly could talk she would tell you that she loves you and thanks you for all that you do for her. I can't recommend Sonia highly enough. Thank you Sonia for all your time & patience when grooming Cody. He is such a big & boisterous dog. Words cannot express enough just how grateful I am for all the hard work you put in to make him look & feel so good. From day one Sonia has always had my 2 Labrador's best interests at heart. Sonia is very loving, gentle, and observant. 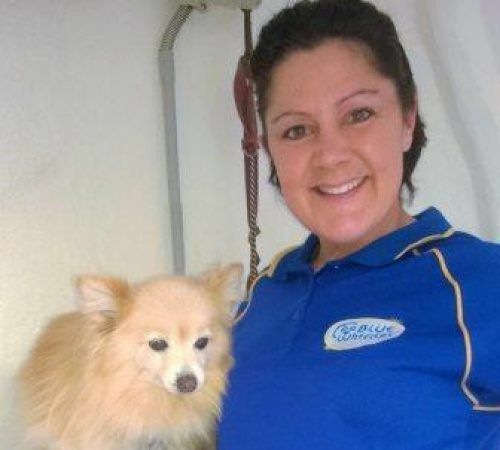 Sonia always reports back if there are any issues, and always has a living cuddle for her furbaby customers. We have been inviting Sonia back to our home for over a year now, and Harry, Bella and I wouldn't have it any other way. Greg was is a very professional dog washer and took very good care of our 14 year old Labrador! Bella had a full service today for the first time. I was concerned about my dogs reaction but not Glen. It was my dog's first time at 13 months old. Glen took the time to get Bella's trust before starting. Fantastic result fantastic service. Completely Recommend . We have used Greg 3 times, and have been extremely happy with Greg's work, he is very accommodating in that he will fit us into his busy schedule. Above all, the dogs really like him and so do we. We have no hesitation in recommending him.